Since they’ve taken the time to write them, I thought I would share them. Here are a few words from past couples I have had the pleasure of photographing their wedding. "I'm not sure where to begin!!! I'd spoke with my now husband nearly 2 years before our big day and said let's book our photographer. I came across James Taylor and had a look through his online albums which were stunning. He captured the days really well. We arranged to have a tailor package which allowed us to have from prep up till about 8pm. James was very professional and was keen to meet us at our venue to get an idea of how best to capture our day. He has a brilliant eye for detail. James captured our wedding day spectacularly and we couldn't of asked for a better photographer. He blended into our wedding party so well. Can't thank James enough for all his hard work and capturing out special day. If you are getting married and want stunning photos to look back on, in years to come. Look no further than booking James. Thank you again James amazing job!!!!" "James was fantastic from start to finish. He is exceptionally responsive to all questions and emails and is the ultimate professional. On the day, he arrived exactly when he said and stayed longer than we had agreed as he wanted to do the best job possible. When it comes to the quality of the photographs, myself and my husband are blown away. They capture the day perfectly. I cannot recommend James enough. 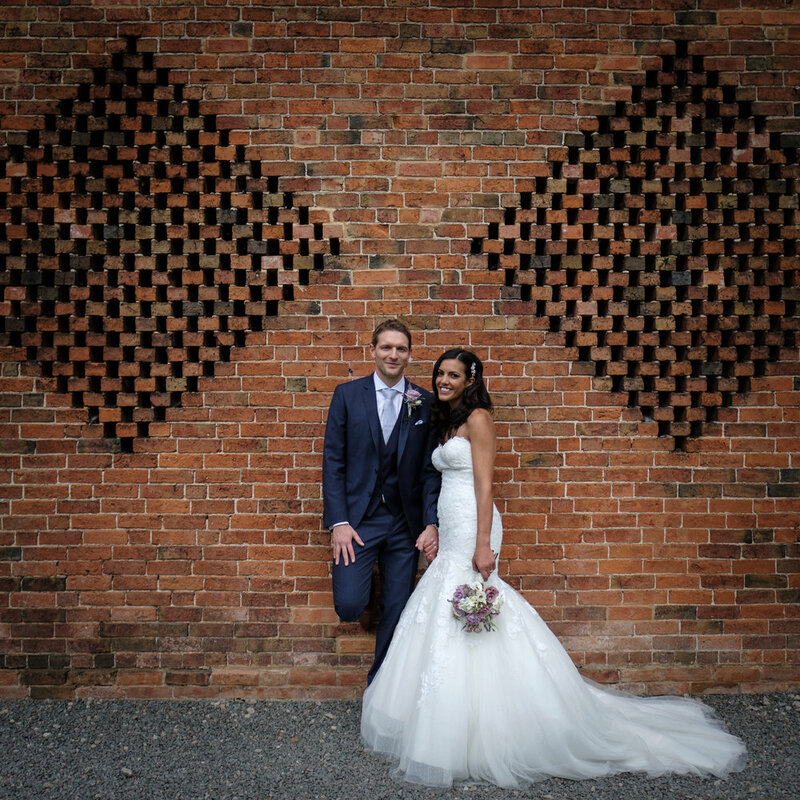 The photographs are such an integral part of your wedding and we are so so happy James was our photographer!" "What can I say about James? If you want an incredibly professional but fun photographer for a BARGAIN price, look no further! He clearly knows what he is doing and is VERY good at it. He goes the extra mile and works VERY hard ALL day - I don’t think he stopped for food or drink all day and it paid off (for us anyway) in the BEAUTIFUL photos we received! In addition, from feedback I have had from other brides, James got the photos back to us very quickly (we waited less than a month!) and we have sooooo many pictures which is fab because we can choose as many as we want to print off etc. Don’t waste time looking for anyone else, James is all you will need to capture your perfect day, thanks!!!" "James was extremely professional throughout and provided a fantastic service. We were over the moon when we received our wedding pics, he really did capture every part of our wedding. "If you are looking for a professional, hard working photographer who produces fantastic photographs for your wedding then please look no further than James Taylor photography! I am over the moon with the work James put in on my big day. He is professional throughout and his communication is outstanding! I naturally am very camera shy and don't feel very photogenic but James captured both natural and formal photos of my guests, husband and I. He blends into the background and you hardly know he is there. He is also very creative with his photographs and some of the funny photos he suggested are in fact my favourites! I was surprised to have my photos back just two weeks after my wedding! Thank you James for all the work you did at our wedding! You truly are outstanding in your line of work! "We booked James for our wedding photographer 2 years ago & we got married on 1st June 2017. James was so helpful, friendly & professional leading up to the wedding & made us feel 100% happy with our choice. On the day of our wedding he made us feel at ease & captured all of the pictures & moments we had wished for. We are just in the process of choosing our pictures for our album & Ive got to say we are blown away at the quality & amount of photos we have. Thank you James. Mr & Mrs Chrimes"